Among the nicest words to hear is the expression “Welcome”. It radiates a positive atmosphere, a happy ambiance. In the past, families like to hang a wooden or stone plank with engraving that says “Welcome”. The same concept applies to the present, digital world. Now, why not does it in a digitalized design way? 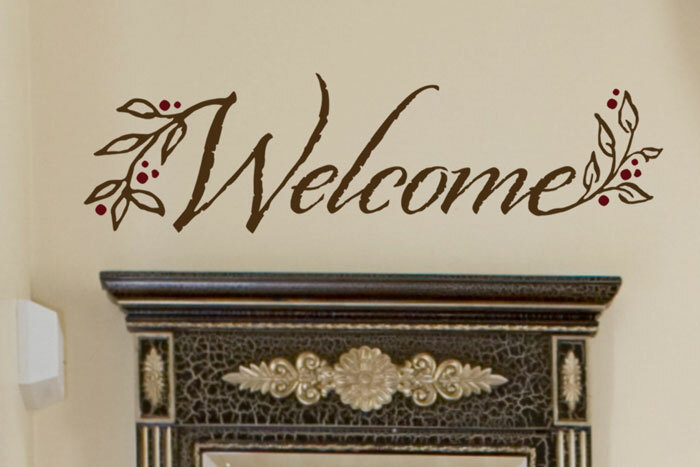 Our decorative wall decal with the word, “Welcome” can be strategically placed above the door jamb of your home, or on the wall of your foyer or even on top of your fireplace mantle. This lettering design looks like a twig with leaves on both ends. It is like a tribute design for nature because people naturally like to give a warm welcome. 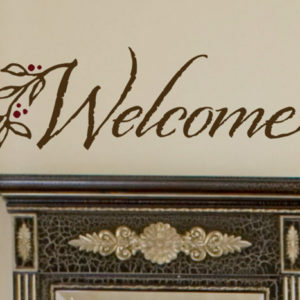 Having this “Welcome” decal on your wall will make your guests feel that their presence in your home is not an accident but a destined moment. Visitors can feel the bliss of your home. They won’t feel uneasy knowing that the owners of this house are very accommodating. 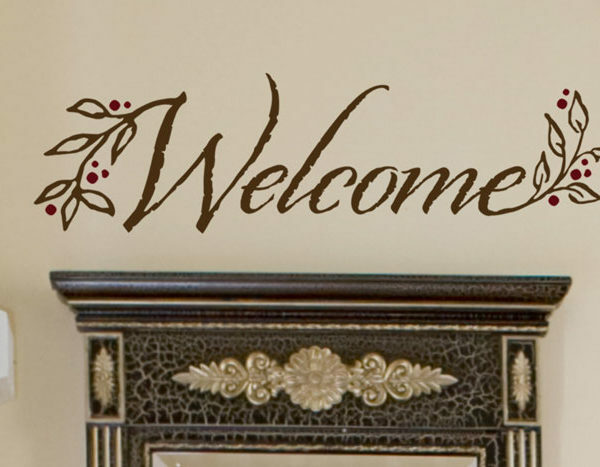 Also, by having this welcome decal in your home, you teach children to embrace the joy of welcoming other people into their life. Don’t miss out this very important detail in your home. Set the mood of your foyer by having this super easy to apply decal. If twigs are not your type, you still have the chance to pick out your own lettering style and try it out first in our design previewer. As we always say in DecorativeLettering, your decal, your style, so have it your way.